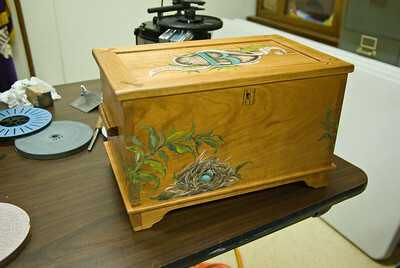 Scrimshaw, a new sharpening system and the completed legacy box. 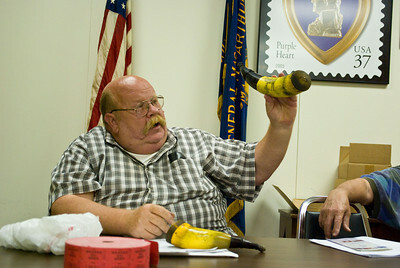 Rick made a couple of powder horns for his muzzle loading rifles. 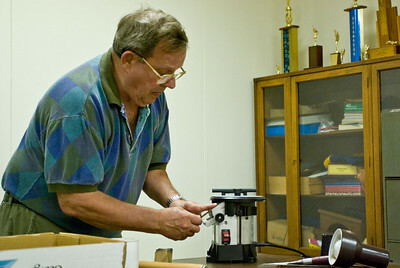 Gene created a jig to hold the irons. 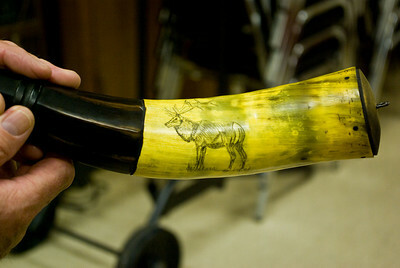 He decorated the horns with scrimshaw. 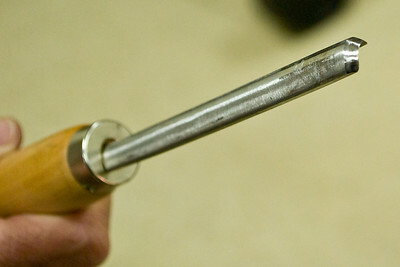 The bevel is sharpened on the bottom of the wheel. 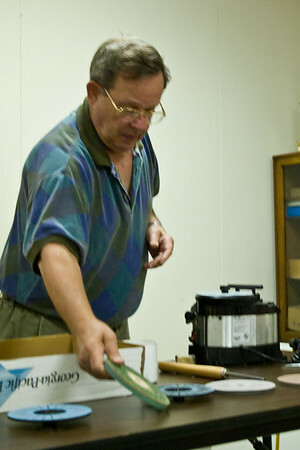 Gene demonstrated a new sharpening system. 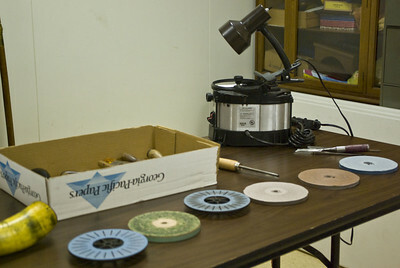 Sandpaper attached to spinning plates is used to sharpen the cutting edges. 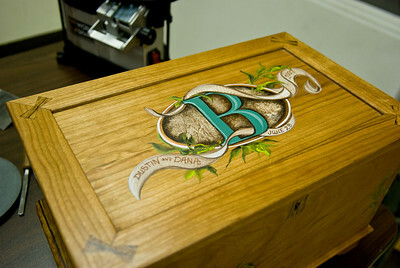 Here is the finished legacy box. 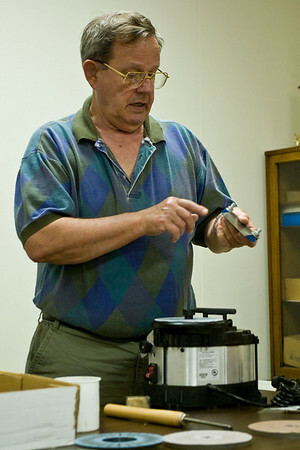 Details of the construction were presented during earlier meetings. 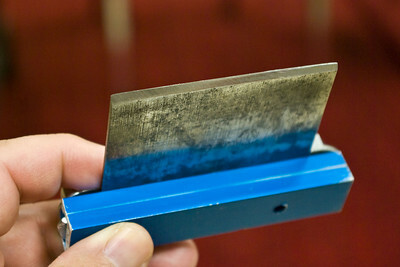 A partially sharpened plane iron.